Hello friends! Friday is my favorite .. the beginning of the weekend. Do you have fun weekend plans? Our weather has been bitterly cold, single digits with wind chills of well below zero. I’ve been hunkering down indoors and making. Hopefully it warms up a bit. For this FANCY FRIDAY blog hop the team is picking our MOST favorite Saleabration products to showcase. Who are we? 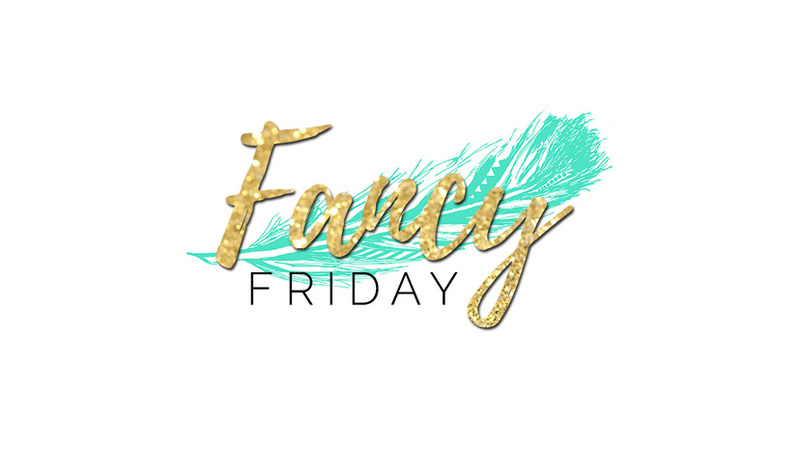 The Fancy Friday team is a group of talented Stampin' Up! Artisan's, both past and present. There is so much to LOVE in this years Sale-A-bration promotion. Stamps, papers, ribbons … ooh la la! For me I’ve fallen for the ‘Lovely Lattice’ and the ‘Part of My Story’ stamp sets and the black and white side of the Botanical Butterfly Designer Series papers. These three products rank right up there among my faves. I would be remiss if I didn't mention that you can earn any of these products for FREE with any 50$ purchase from now until the end of March. Love me some FREE. Speaking of LOVE … I love a good black and white stripe or a simple black and white polka dot. These patterns are so universal they can be used on just about any project. These basic patterns and more can be found on the backside of the Botanical Butterflies Designer Series papers. The Lovely Lattice stamp set has a beautifully composed image of flowers on a lattice oval. I decided to cut up this perfect composition to create my own. The image is easy to deconstruct with scissors. The flowers have been colored with Stampin’ Blends. This card also features some fun new products from the Occasions mini catalog (stitched rectangle dies and new word dies). A full list of card supplies can be found below.